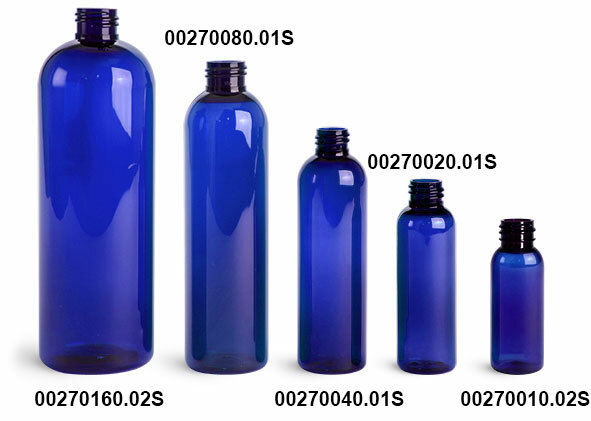 Buy our blue plastic bottles wholesale (bulk) for the best discount. Select Add-Ons to check out other cap options, choose other caps to give you product a look of its own. The blue PET plastic bottles come complete with silver disc top caps. 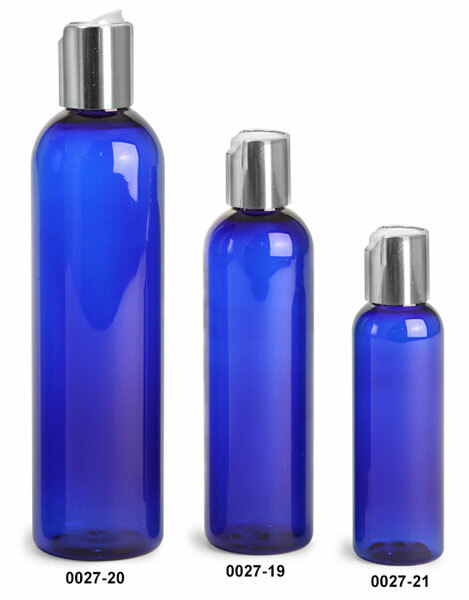 The brilliant blue colored plastic bottles may possibly be used as hair care bottles, for products such as shampoos, gels conditioners, moisturizers and more! 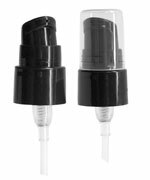 The cosmo round shape of these blue PET bottles, makes dispensing many products a breeze!